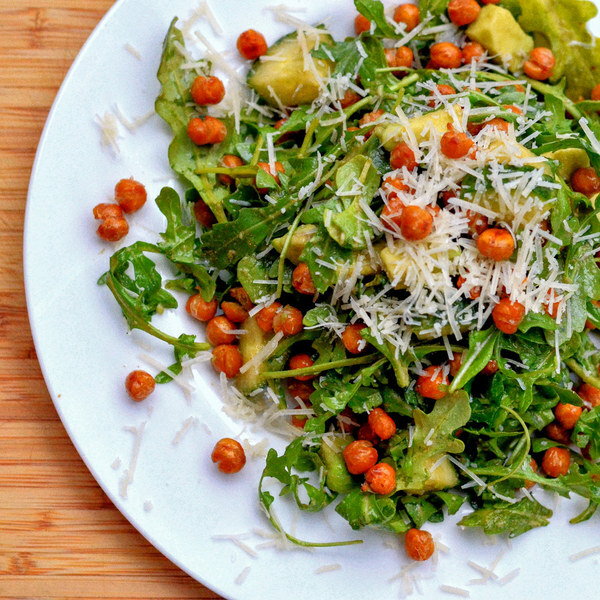 To serve, arrange a bed of arugula on a plate and top with chickpeas, cucumber, and avocado. Drizzle with dressing and sprinkle with Parmesan. Enjoy!